13″ Wheels and upgraded 5 leaf spring EYE to EYE suspension. 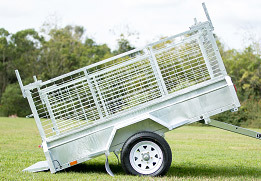 Competing trailers only have 4 leaf. Added upgrades at no extra cost. 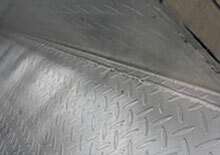 3x Welded Tie down rails Also features our company branded mudflaps on trailer. 1.2m drawbar for easy manoeuvrability and room for a spare wheel and toolbox.